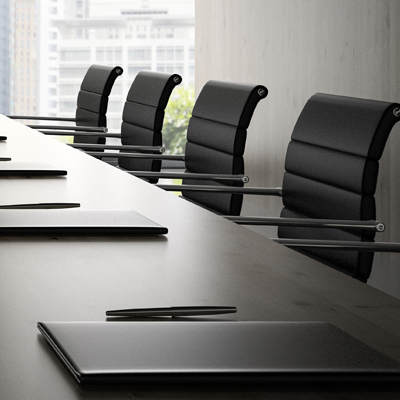 1909-Foundation | Company | RENGO CO.,LTD. 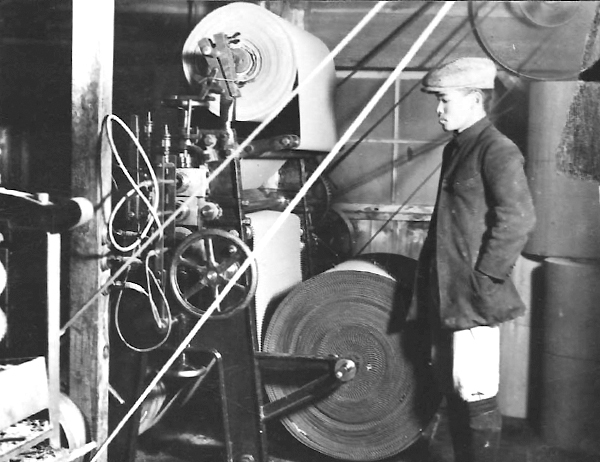 1909 Sanseisha was established to start production of corrugated board. At the end of this year, the company was renamed using different Chinese characters but maintaining the same pronunciation. 1914 The first corrugated boxes were produced. Soon after making up his mind to start anew, he began to receive orders for carton tools and carpenter's tools in Ueno Okachimachi, Tokyo. 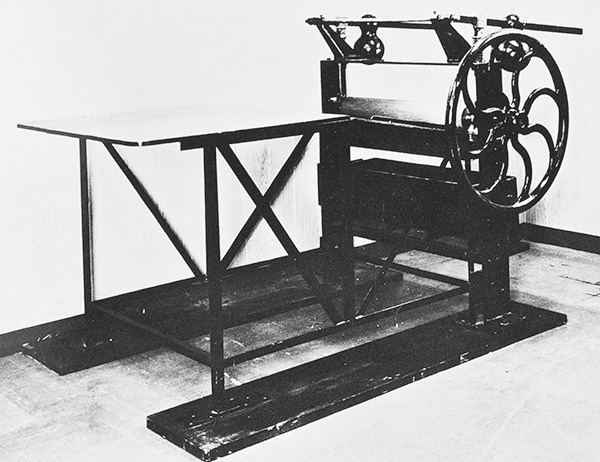 At one of the tool shops he visited, he found "something like a hand-operated cotton reeler." 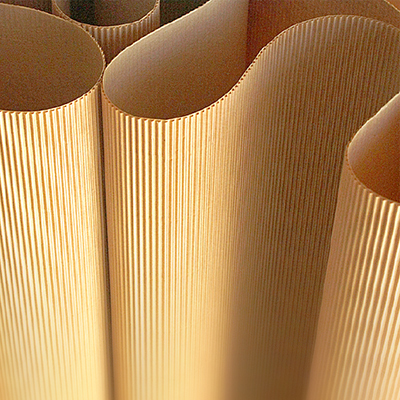 With its corrugated cylindrical roll made of oak, it was a tool for corrugating paper. The image of the tool haunted him. For example, corrugated paper was used as a buffer to wrap glassware and other products; it was called in various ways such as "denkyu tsutsumi-gami (wrapping paper for electric bulbs)," "namako-gami (sea cucumber paper)" and "namigata-shi (wave-shaped paper)" and was produced by tinsmiths and baked sweet potato vendors as a side job. High quality corrugated board was also imported from Germany, but was expensive. Inoue's knowledge increased as time went by. One day, when he called on a man with whom he had become acquainted in Dalian, the talk turned to corrugated rolls before they knew it. 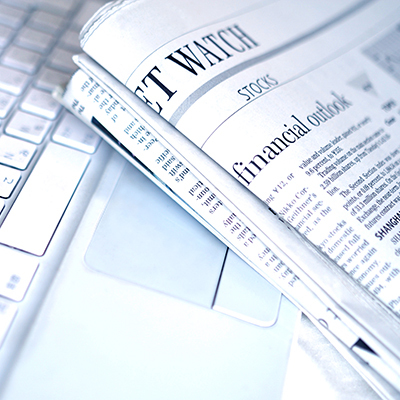 The man said to him, "If you are interested, I will introduce two investors to you." With a capital of ¥200, he had someone make a manufacturing machine using a cast corrugated roll and a wooden support at a cost of ¥70, and installed it in a six-tatami-mat room of a house he rented in Shinagawa, Tokyo for ¥5 (Photo 1). 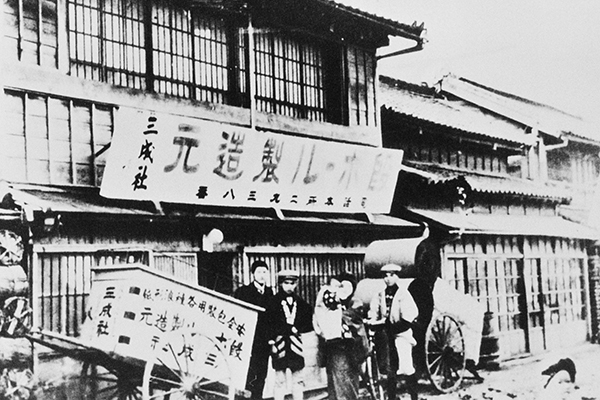 Inoue called the small operation Sanseisha, and it started on August 16, 1909—Inoue’s 28th birthday—with him and two employees. However, he was not able to produce a perfect product immediately. He struggled for two months, after which he finally produced what he termed "danboru (corrugated board)." The corrugated board he produced started to be used as a buffer for fragile articles such as electric bulbs and bottles for cosmetics and medicine. Nonetheless, he continued to suffer a loss, and irritated investors left him one after another. At the end of this year, he made up his mind to become an independent self-employed businessman, and moved his operation to Kyobashi, renaming the company with different Chinese characters, but retaining the same pronunciation, "Sanseisha" (Photo 2). Inoue gradually received an increasing number of orders. As orders grew, he became unable to handle the volume with the existing hand-operated machine. He ventured to import a German-made power-driven corrugated board manufacturing machine, which cost as much as ¥3,000 (Photo 3). Since product quality improved and stabilized, major users came to highly rate products from Sanseisha. Typical applications included corrugated board for Mazda lamps from Tokyo Denki or Tokyo Electric Company (current Toshiba Corp.) and for Noritake china and porcelain exports. Five years after Inoue started production of corrugated board, he received an order for boxes for half a dozen bottled perfumes, producing corrugated boxes for the first time. These boxes were made manually. Therefore, he established a system for mass-producing corrugated boxes by installing a set of German-made box manufacturing machines. 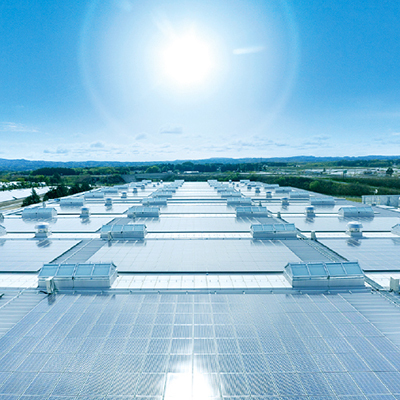 In the following year, he set up two subsidiaries in Osaka and built a plant in Nagoya. He relocated the head office and plant in Shinagawa to Taihei-cho, Honjo-ku, Tokyo (in front of the current JR Kinshicho Station), where an industrial area was emerging, and constructed Sanseisha's Kawasaki Plant near Tokyo Electric's Kawasaki Plant. 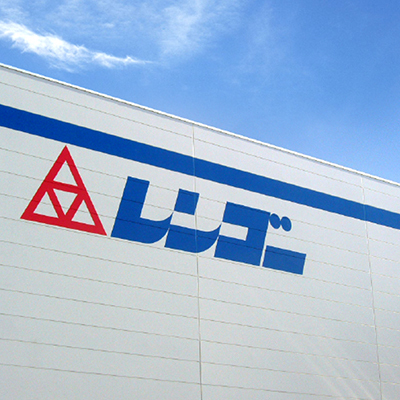 Inoue's corrugated packaging business began to make smooth progress.